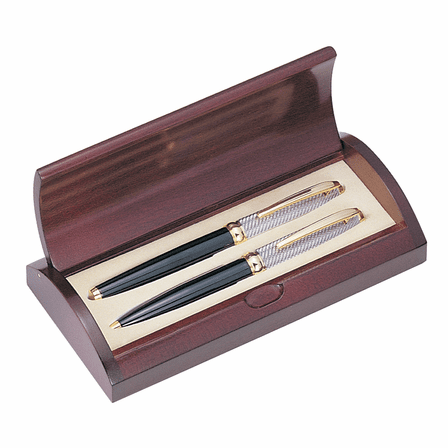 This wall street theme dual pen set is a personalized gift for the financial wizard that has everything. 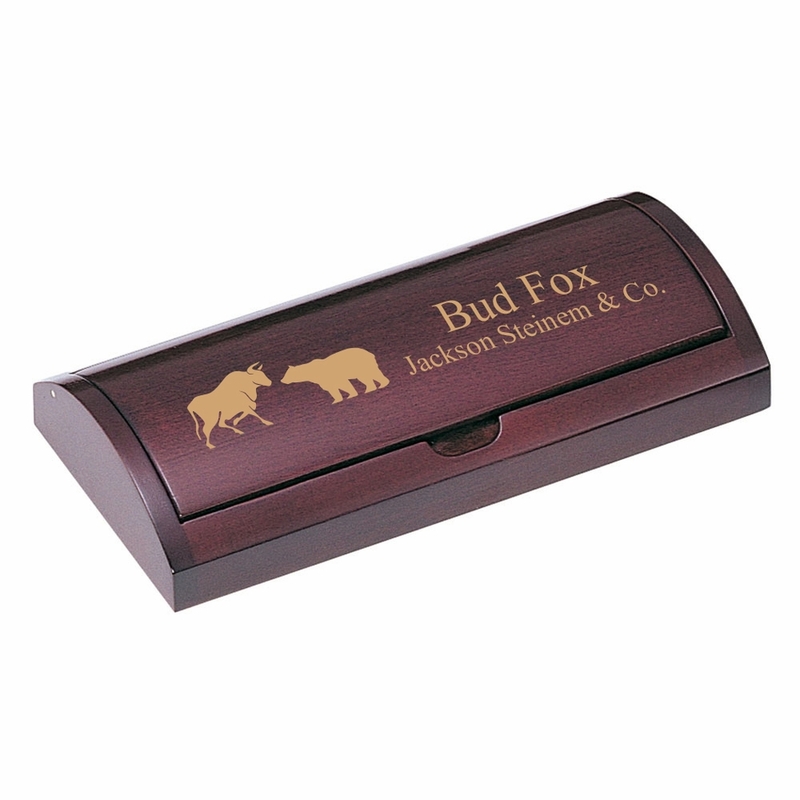 It includes a smooth writing ballpoint pen and a crsip writing roller ball pen. 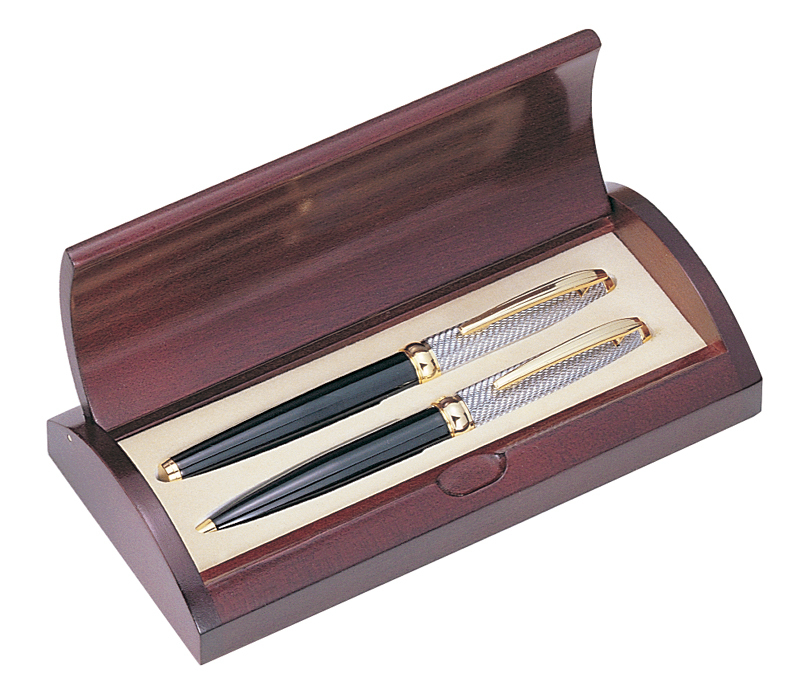 Each pen has a studded silver cap with gold accents and a black lacquer coated barrel. 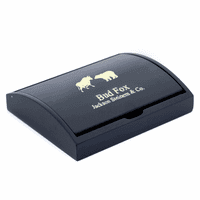 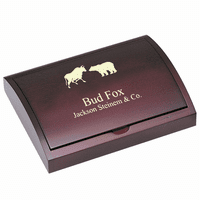 The cherrywood finished wooden presentation box comes with the symbol of the financial industry, the bull and bear duking it out, laser engraved on the lid. 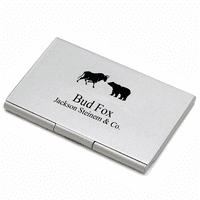 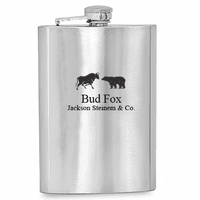 Add your own laser engraved inscription to make this a customized gift your wall street worker will love.